People in over a hundred countries are celebrating International Women’s Day (IWD) ) on March 8. IWD is a day when people show respect and appreciation for women. It is also a day when people mark achievements of women. Many girls and women in the world are treated badly. One of the goals of this year’s IWD is to spread the message of ending violence against women. 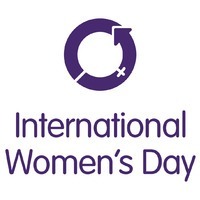 The first IWD was celebrated on March 19, 1911 in Austria, Denmark, Germany, and Switzerland.